As competition to fill physician vacancies escalates, the leaders of healthcare systems, hospitals, and clinics feel a growing sense of urgency to “just find the docs” to fill them, instead of focusing on hiring physicians that will fit, succeed, and stay. 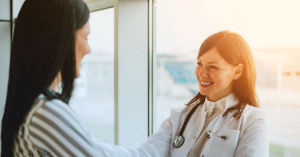 In fact, a recent study by the American College of Physician Executives places the shortage of primary care physicians in their top three concerns, right behind financial worries. They acutely feel the top line hit to revenue that comes with every vacancy, which can annually exceed $1 million or more, depending on the specialty. Add to that, the hidden costs of morale issues, lost patient loyalty and non-productive administrative time required to manage around the vacancy. The key challenge amidst this shortage is to develop a recruitment plan and process that will shorten the length of a vacancy, lower your risk for turnover and increase the opportunity for engaging the physician with your organization and community over the long-term. To understand why this is so important, look no further than a Gallup study of one healthcare system in which engaged physicians were 26% more productive than their less engaged counterparts while generating 51% more inpatient referrals. Physician engagement also correlates to the success of your recruitment program. Engaged physicians are visibly aligned through their actions and communications with system administrators, colleagues, patients and within the community. 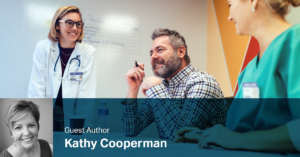 The physicians that display the behaviors of the culture you want to build become the best ambassadors to candidates you want to hire. However, it only works as a strategy if it is authentic and visible. While you are interviewing physician candidates, they are also looking for their own best fit. The benefits of hiring for fit (and, conversely, the costs of making the wrong hire) make investing in a finely tuned recruitment plan and process worthwhile. Start with an objective assessment of your workplace culture and discover how you can highlight your differentiators. Ensure that what a candidate values is a good match with what your team, organization and community can actually provide. For example: responsiveness, transparency and commitment to work/life balance may top the list for one candidate, while financial security, challenging clinical work and career choices for their spouse may be priorities for another. With the financial stakes as high as they are, the value of strategic recruitment partners continues to grow. The right partner can both shorten a vacancy and help ensure long-term fit by contributing objectivity, competitive intelligence, resources for finding passive candidates, skills for assessing fit and experience in problem-solving. Jackson Physician Search has been ranked in the top 15 Best Places to Work in Healthcare by Modern Healthcare two years in a row. Our continued commitment to building a strong culture also empowers our recruitment professionals to assess and find the right cultural fit between candidates and clients. Contact us for more information about how we can provide you with unique solutions to help you find, hire, and retain the physicians and advanced practice professionals that you need.